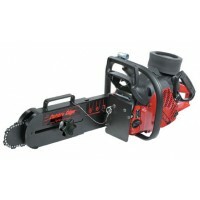 Cutters Edge Rescue Saws mean More Power…More Torque and More Fuel Efficient - With new technology utilising Dual Intakes that split the airflow into fresh-air and clean-air for the fuel-air mixture. The fresh air intake forms a barrier that delaying the fresh fuel mix from entering the engine while assisting in exhausting the burned gases. Then the fuel-air mixture flushes into the engine, resulting in more power and less emissions compared to conventional 2-stroke chainsaw engines. 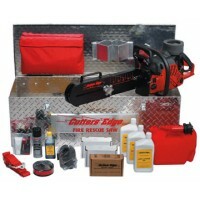 Cutters Edge MULTI-CUT® Fire Rescue Saws are designed and built specifically for the Fire Rescue Service.